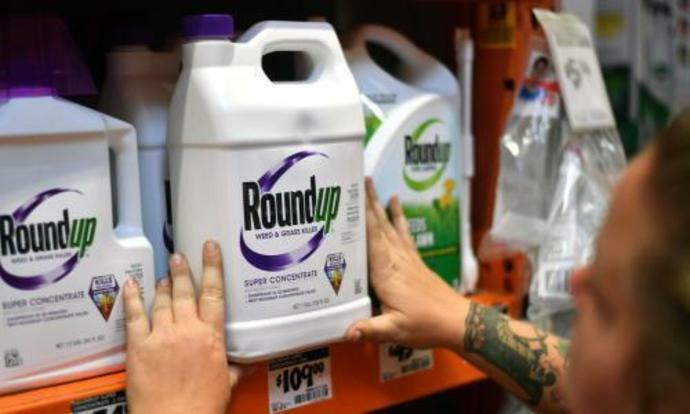 A federal jury in San Francisco found Monsanto's Roundup herbicide was a substantial factor in causing the cancer of a California man, in a landmark verdict that could affect hundreds of other cases. Edwin Hardeman of Santa Rosa was the first person to challenge Monsanto's Roundup in a federal trial and alleged that his exposure to Roundup caused him to develop non-Hodgkin's lymphoma (NHL), a cancer that affects the immune system. In the next phase of the case, the jury will weigh liability and damages, and Hardeman's lawyers will present arguments about Monsanto's influence on government regulators and cancer research. Hardeman's case is considered a "bellwether" trial for hundreds of other plaintiffs in the US with similar claims, which means the verdict could affect future litigation and other cancer patients and families. Monsanto, now owned by the German pharmaceutical company Bayer, is facing more than 9,000 similar lawsuits across the US. The unanimous ruling on Tuesday follows a historic verdict last August in which a California jury in state court ruled that Roundup caused the terminal cancer of Dewayne Johnson, a former school groundskeeper. That jury said Monsanto failed to warn Johnson of Roundup's health hazards and "acted with malice or oppression", awarding Johnson $289m in damages. Hardeman's trial has been more limited in scope. While Johnson's attorneys argued that Monsanto had "bullied" scientists and fought to suppress negative studies about its product, the federal judge barred Hardeman's lawyers from discussing Monsanto's alleged influence on research and regulations during the hearings. The US judge Vince Chhabria went so far as to sanction Hardeman's lawyer for bringing up Hardeman's "personal history", referring to internal Monsanto documents, and explaining the process behind various regulatory decisions about glyphosate in her opening remarks. With Hardeman's trial limited to a strict discussion of whether Roundup exposure caused his cancer, his attorneys have argued they were facing a significant disadvantage. Although the judge restricted the first part of the trial to a limited discussion of Hardeman's cancer, he issued something of a rebuke of the company in one procedural order last week, saying: "Although the evidence that Roundup causes cancer is quite equivocal, there is strong evidence from which a jury could conclude that Monsanto does not particularly care whether its product is in fact giving people cancer, focusing instead on manipulating public opinion and undermining anyone who raises genuine and legitimate concerns about the issue." Bayer expects to prevail later in the trial, a spokesperson said following Tuesday's ruling. "We are disappointed with the jury's initial decision, but we continue to believe firmly that the science confirms glyphosate-based herbicides do not cause cancer", spokesman Dan Childs said in a statement. "We are confident the evidence in phase two will show that Monsanto's conduct has been appropriate and the company should not be liable for Mr Hardeman's cancer". Child also argued the decision would not impact future cases, "because each one has its own factual and legal circumstances". Jennifer Moore and Aimee Wagstaff, Hardeman's attorneys, said they were prepared to show the jury examples of Monsanto's "bad conduct" in the next phase of the trial. "Now we can focus on the evidence that Monsanto has not taken a responsible, objective approach to the safety of Roundup", they wrote in a statement. Environmental advocates were quick to celebrate the verdict. Ken Cook, the president of the Environmental Working Group, said the ruling supported previous conclusions that "glyphosate causes cancer in people". "As similar lawsuits mount, the evidence will grow that Roundup is not safe, and that the company has tried to cover it up", he added. Alex Trebek, 78, revealed that he&apos;s "feeling good" after announcing that he has stage 4 pancreatic cancer last month.